This is my every once-in-a-while weather website recommendations. These are not the only sites with this data, just the ones I favor. I’ve been forecasting the weather over thirty years. There have been a boatload of changes and improvements. We used to spend a fortune acquiring data at Channel 8. Now it’s all online and free. I use a lot of government data and government sites. They are not the splashiest, but they’ve got just about everything. 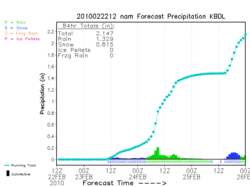 For models like the GFS or NAM. For the short term, high res HRRR. The user facing side of this site is awful, but the HRRR is worth using. For greatly customizable maps on the fly, it’s EDD, again from NOAA. EDD has the feel of a freight elevator hung on a building under construction. Nearly everything works, but you’ve got to watch your step. EDD often requires a page reload to clear its foggy head. A lot of what EDD does Wundermap does too, plus it has the European model! Wundermap is from Wunderground, weather geeks online since the Internet was young. They’re now owned by the Weather Channel’s parent company. Severe Weather, SPC. The mesoscale analysis section of the site is crazy. You can delicately slice and dice the atmosphere looking for the signs of severe weather. An admission. I don’t understand the significance of everything they make available. For tropical weather I hit Dr. Bob Hart’s site at Florida State for individual models and Wisconsin for spaghetti plots. The most valuable item from the Hurricane Center is the tech discussion. The lead forecaster describes the factors weighed making the forecast. It’s a different url for each storm, but you can find the discussion from their home. By the way, for anything… and I mean anything that comes from the weather service in text form, I run to the Iowa Environmental Mesonet site. I wish stuff would come faster. I wish maps would get larger. So many are still sized for a world where 800 pixels across was wide. 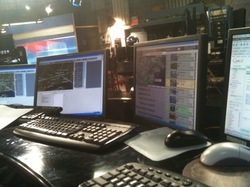 I just traded quick tweets with Ryan Hanrahan at NBC30. geofffox: @ryanhanrahan How’d you do on this one so far? ryanhanrahan: @geofffox Not bad – all about where fgen sets up. Haves and have nots. Some towns will get hit hard others won’t. I don’t know about Ryan, but these were the nights I dreaded! I was on-the-air 28 years in Connecticut. It didn’t take long to realize how unhappy people are when a snow forecast goes wrong. Even when right I’ve been blamed for the forecast on other stations and the Weather Channel and by people who just misheard! Forecasts aren’t blown because you haven’t worked hard enough. Predictions go south when bad guidance (computer models) leads you astray. By and large computers are superior to humans in quantifiable solutions to tough atmospheric problems.. That makes it difficult to discard them in pressure situations. Mid-storm I was like a caged animal. I’m sure that didn’t make me a dream co-worker. Sadly, no matter what I did it was never 100% right. There was always an outlier. Frustrating. Post-Sandy the federal government allocated significant resources to beef up our weather computing power. Implementation is excruciatingly slow. Forecasts will improve a little. The low hanging fruit has already been picked. I heard the news. DirecTV is playing hardball. They’ve pulled the plug and covered your old channel with WeatherNation. Harsh. Here’s the problem. No one will show you sympathy while you make claims that are over-the-top. You business is weathertainment. That’s fine. There’s nothing wrong with it. It’s an honorable pursuit. People don’t watch as much when the weather’s tranquil. Your move to long form reality makes more sense when taken within that context. You’re spending more on production. You’ve brought in more experts–some excellent. Your travel budget is large. You have carved out your niche. When weather is the story, you’re America’s number two choice! Sorry. Local media always covers storms with more specificity and detail. They always do a better job. Always. Someone recently gave me the TV ratings from the Oklahoma City tornado outbreak. While warnings were in effect, local news received over 90% of the viewers. TWC was down in the weeds somewhere. The Weather Channel was a great way to follow the storms from Cleveland, Des Moines or Los Angeles. Oklahoma City needed local info in ways you just can’t do. Even you wouldn’t have the cajones to tell people to turn away from local coverage and follow threatening weather with you. You do what you do well. It’s time you come to grips with what that is. In reality our forecast was pretty good. The problem was this ‘named’ storm’s worst aspects were being reported on the national media. Folks who heard this locally couldn’t or didn’t differentiate. And, of course, that’s what’s going to happen. TWC will talk about a vicious storm and scare people who needn’t be scared. The Weather Channel announced yesterday they’d begin naming winter storms. The reasons were enumerated by TWC’s Tom Niziol, who was very helpful to me when I was starting out in Buffalo. He was an NWS forecaster, later Meteorologist-in-Charge. Few people know more about winter weather. This is wholly a marketing move on the part of The Weather Channel, just as it is for WFSB. Channel 3 was already naming Connecticut’s storms when I got here 1984. From a PR standpoint it’s probably good for The Weather Channel as it’s been for WFSB. For everyone else it will add confusion when we should be adding clarity. Winter storms aren’t compact systems like hurricanes. Single storms can cover a few thousand miles over a period of days. More importantly these storms bring different weather to different places simultaneously. Remember the “Storm of the Century” back in 1993? Some East Coast locations got creamed. Here in Connecticut its effect was significant, but significantly less. I was inundated by comments from viewers who felt it was hyped! In reality our forecast was pretty good. The problem was this ‘named’ storm’s worst aspects were the only thing being reported by the national media! Folks who heard this locally couldn’t, or didn’t, differentiate. In making this change unilaterally, The Weather Channel has essentially tossed effective risk communication out the window and their partners in the National Weather Service and other corners of the “weather community” under the bus. One of the tenets of good risk and emergency communication is that communicators speak with “one voice”. That doesn’t mean everyone says the same thing; rather, it means those involved should speak in harmony with others. I think it’s silly and fun. I don’t think it does any harm. I just want to know what happens when Channel 3 and The Weather Channel come up with different names for the same storm? It’s tough to explain something before it’s happened that’s going to be tough to recount after it’s happened! I’m not complaining. My ‘office’ is well lit and well equipped. I have cable TV at my desk. I am not lifting boxes in the factory. I get it. Still, this week has totally wiped me out and it’s only Wednesday. Thankfully the forecast has been reasonably fine. That’s not the problem. It’s just the complexity of the week’s weather. 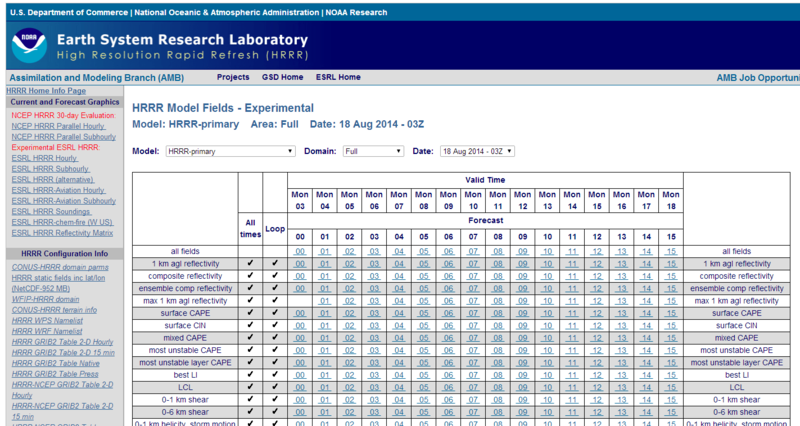 We haven’t had weather as much as we’ve had samples! After the fact someone will try and pin a specific reason why this week has been so weird from a weather perspective. Whatever they say will sound studious, but be wrong! Weather is too complex to easily fit into soundbites. Weather is always eclectic and strange. This is the rule, not the exception. We seldom see average weather. Here’s my problem right now: It’s tough to explain something before it’s happened that’s going to be tough to recount after it’s happened! Every word becomes critical. It’s been like this all week. My head is spinning. All through my professional life strangers have told me how boring it would be to forecast in Los Angeles or San Diego. At this moment that seems so appealing. That’s not to say the models didn’t venture guesses. It’s just the guesses changed each time the programs were run! One of the weaknesses of making long range forecasts is you get to anguish over storms for a l-o-n-g time. Take tonight’s little doozie. This system has been well modeled by the computers for more than a week–since it was well out in the Pacific. With each succeeding run it seemed more likely Connecticut would have some impact. The question was how much impact and from what? Would it be snowy or just rainy and raw? This part of the equation seemed beyond the computer’s expertise. That’s not to say the models didn’t venture guesses. It’s just the guesses changed each time the programs were run! Though some of the prior results are seeded into the next run’s initialization, there’s little memory these machines maintain from forecast-to-forecast. Now it looks like the rain/snow line was so hard to get at because it will be moving over us. The storm will be snow then rain. But when the turnover? There will be plenty of quality number time today. My love of math will be tested with charts and graphs and maps. It’s a geek’s paradise. I’ve got a horse in the race this time. Helaine’s due back in Connecticut late tomorrow night. I am in charge of transport. Predicting the weather’s impact on airlines is rough. 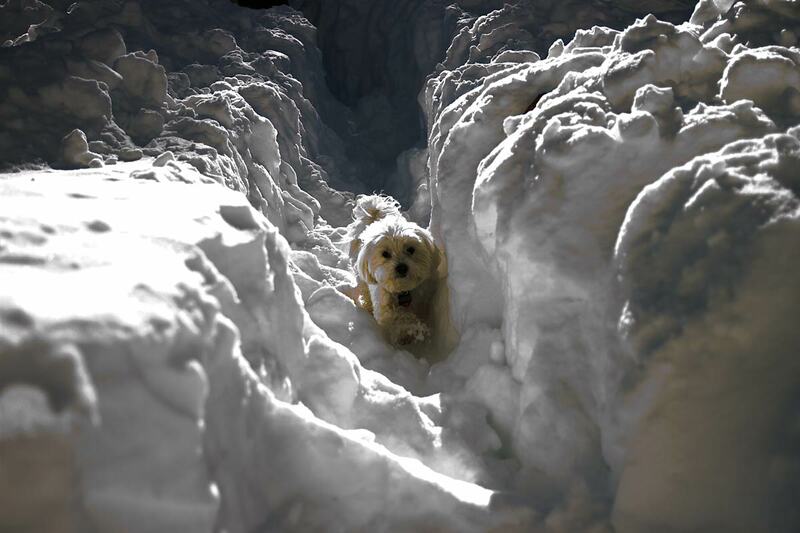 Most likely she will make it to Connecticut without problem, but face some snowy roads on our way home. Spring is almost here and I can’t wait. I really can’t! It’s on Channel 248 on my cable system. That’s a problem too. 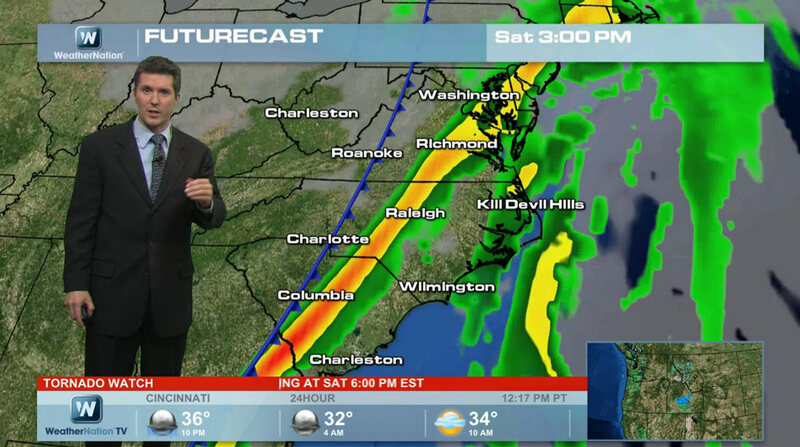 NBC’s Weather Plus is going off-the-air. If you’re like most people you won’t miss it because you didn’t know it was there. NBC News President Steve Capus informed the on- and off-air Weather Plus staff headquartered at CNBC facilities in Englewood, N.J., Tuesday morning that the operation would be phased out in stages through the end of the year. NBC recently bought the Weather Channel–probably the final straw for Weather Plus. Unfortunately, Weather Plus matches up poorly against the Weather Channel. It’s a badly formatted service that provides little not already available and was viewed accordingly. Using a combination of local and national talent the service was neither polished nor compelling. I’ve paused a moment to watch Brad Field, hopefully recorded since it’s 3:18 AM. I believe Brad is the longest running ‘main’ weather guy in the market. I wonder if he’ll miss taping these segments? A friend from another Connecticut station with their own cable weather channel (Channel 247) said he’s gone on-the-air and asked people to email hm, just to say hello. At last check he’d never gotten a viewer response! So many channels. So much competition. What’s odd is this has happened without any advance warning I can see. Something’s afoot at Comcast. They’ve moved TruTV (formerly Court TV) and Hallmark Channel to the digital tier. The Weather Channel has gone from Channel 69 to Channel 98&#185–an oddball channel that’s strangely placed in the actual spectrum. As far as I can see nothing’s been moved down to take their place. What’s odd is this has happened without any advance warning I can see. Even Comcast’s own website still shows Hallmark and TruTV where they were. AT&T’s u-verse seems like an interesting alternative, but it’s not available where I live. Neither is DSL. That makes satellite TV a poor choice, since I’d need an alternative to Comcast for data. I’m just trying to figure out why, in the face of increasing competition, Comcast is doing this? &#185- As far as I’m concerned, the Weather Channel is a competitor. Comcast can totally remove it from the system and get nothing more than a smile from me! Author Geoff FoxPosted on July 17, 2008 Categories UncategorizedTags AT&T, Comcast, DSL, Hallmark Channel, Satellite TV, The Weather Channel21 Comments on What’s Up At Comcast? Does The Weather Channel look like $3.5 billion to you? Me neither. 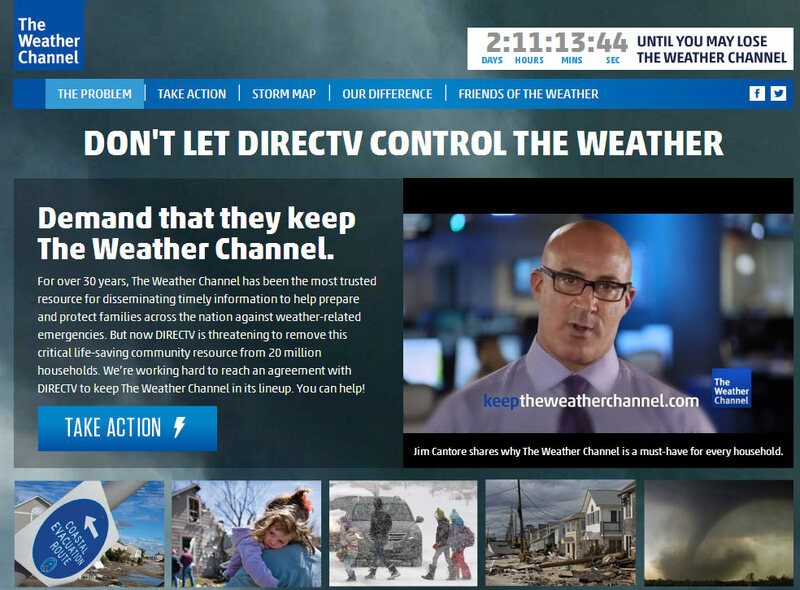 The Weather Channel and weather.com are about to be sold. Word is Landmark Communications, the current owner, will sell The Weather Channel to NBC for $3.5 billion. They’ve always been a moderate payer, taking and losing their talent mostly to the smaller end of medium size markets. Considering what they earn (based on what they asking), they could have aimed higher. It’s actually a great idea for NBC and will almost certainly lead to ‘central casting’ of local weathercasts at some time. Good for NBC, but bad for guys like Geoff, because our market will be reduced as meteorologist begin servicing multiple outlets. In many ways, this is like bulls servicing cows. You can prepare and broadcast a weathercast from anywhere, but something will be lost. There are a few times every season when my experience points me away from computer guidance. It’s not very often, but a guy in Idaho working with just guidance would miss it.. The problem with the Internet is, it’s tough for conventional businesses to compete with something being given away for free! The entire cost/revenue structure of the Internet is crazy compared to traditional businesses. There’s a big headline, in red, on Drudge tonight: “CBSNEWS IN TALKS TO CONTRACT OUT REPORTING TO CNN.” It’s actually just a link to a New York Times story which says CBS is thinking of outsourcing much of its news gathering. I’m not sure what’s going on in my business all of a sudden. I suspect it’s not good. Last week CBS started taking a hatchet to it’s owned and operated TV stations. For five decades, these O&O properties have been cash cows. No more. Anchors and reporters, people whose services were fought over a few years ago, were dismissed without a blink. Some of these folks were making seven figure salaries. All were household names in their own communities. For example, in Minneapolis, meteorologist Paul Douglas was let go. Paul had been in the market over twenty years. If he wasn’t making a half million a year, he had to be close. He was gone before he could say goodbye. NO TV weather job is safe. Longevity makes you even less secure (since you make so much more than anyone else in the building). Make sure you have a backup plan and a solid amount of savings (minimum of 6-months) to tide you over. Live frugally now and put away EVERY PENNY in case you are slashed in the next round of cuts which are inevitable. I’m not sure I’m ready to go that far, but the business has changed. My competition isn’t just the local stations, or The Weather Channel (always a minor player in the general scheme of things), but weather.com, wunderground.com and every website with a forecast… which seems to be all of them. The value of high profile talent, people who could draw an audience to a station, seems to have dropped rapidly. If these CBS firings have little or no negative impact on ratings, other managers will be emboldened to chop away too. The Internet has changed many expectations. That’s fine, and as it should be. If at some point the Internet drives newspapers and TV stations out of business, where exactly will local news come from? The Internet resembles the oxpecker, an African bird that lives on rhinoceroses. “Although the birds also eat blood from sores on the rhino’s skin and thus obstruct healing, they are still tolerated.” – African Wildlife Federation. Last year, Google had $16 billion revenue with 18,000 employees. That’s around $900,000 revenue per employee. Their ‘real’ operating expenses were only $2.7 billion, with another $2.1 billion thrown in for research and development. Their pre-tax net was close to $6 billion. Is Google or Craigslist responsible for what’s going on to newspapers and broadcasting? Maybe. Maybe it’s the appearance of hundreds of channels, each with a tiny audience… but it’s tiny times hundreds! Maybe it’s the Wal*Mart’ing of America; the disappearance of hundreds of stores in favor of one… and the disappearance of hundreds of local advertisers as well. It’s not one thing. It’s a variety of things, but they’re reaching critical mass. At the moment, you can buy two shares of Journal Register (publisher of the New Haven Register and other papers) stock for about the same price as a copy of its newspapers! Journal Register just announced they’re exploring their ‘options’. I don’t know a lot about finance, but is there anything left to sell? Sam Zell, who heavily leveraged his recent purchase of the gigantic Tribune Corporation, is now rumored to be selling some of their papers. That’s something he originally said he wasn’t going to do. He needs the cash to pay the debt. The funny thing is, newspapers, radio and TV stations still make a lot of money, as long as you don’t factor in the financing used to buy them. Many were purchased at what now looks like inflated prices. The assumption was their value (and revenues) would rise. It’s similar to what’s gone on in the housing market. Sorry to say this, because this is your income, but, Local TV is DOA. In a way, I’m glad you are at this stage of this career and this isn’t happening in 1980. Again, I think that’s a little heavy on the melodrama, but times are definitely tough. I am very lucky to be under contract right now. I don’t watch The Weather Channel much. Nothing against them, but I am a more ‘sophisticated’ user of weather data and have other sources. The fact that, as recently as two days ago, their forecast was calling for snow showers and flurries this weekend doesn’t help! Anyway, Helaine had turned it on as I sat here in the family room typing on the computer. The local forecast came on with their automated, though human, voice. It’s not what the disembodied voice said. It was just said it in such a pleasant way as to be inappropriate. “A Blizzard Warning is in effect for our area,” said as if he were offering me another piece of pie. Did I mention they were calling for flurries and snow showers a few days ago? I’m writing this from the Mohegan Sun Hotel in Eastern Connecticut. Tomorrow I’ll be emceeing a program for Norwich Free Academy. It starts so early, the only way to make it work was to stay on site. What a spectacular hotel. It is attached to a spectacular casino, which would be a great place for me to go… but they don’t have poker anymore. More on all of this tomorrow. Tonight there are bigger fish to fry in the form of Hurricane Katrina. I’ve got WWL-TV streaming here on the computer. This is much better than watching coverage on the cable networks. The cable networks are more polished and hard hitting. This local New Orleans station is providing the kind of news people there need. Carl Arredondo, who I remember from The Weather Channel, is their chief meteorologist. He’s pretty solid. I just watched another met do a fascinating explanation of the radar display. There’s no time for this except on New Orleans TV where tonight, there’s nothing but time! I know what the forecasters are thinking… the local guys and the PhD’s at the Hurricane Center. Am I right? Did I miss anything? Forecasters have spent the last few days scaring the living… well, you know… scaring people. Now they have a moral dilemma. 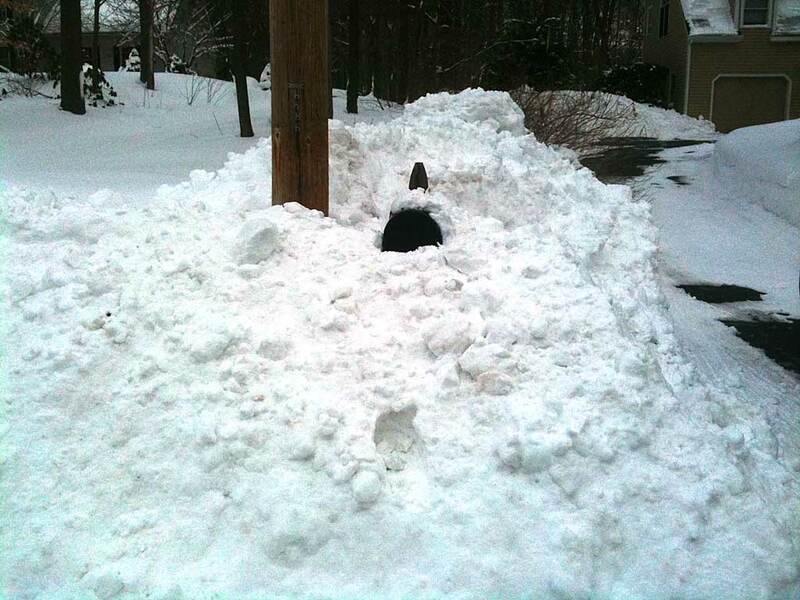 Snow forecasts are similar, but the downside to this is so much greater. This really is a life and death forecast. And, accuracy of track to the degree people want and a good intensity forecast are beyond the current state of the art. We can be close. We cannot get it exactly right – ever, except maybe by accident. Tonight I spoke with a friend in the Miami area. She had been through Hurricane Katrina last week when Katrina was a ‘minimal hurricane’. She only got her power back today. She still has no phone service. New Orleans will be hit so much harder. She also said, fill up the car tonight. Gasoline prices will skyrocket tomorrow. I’m afraid she’s right on that forecast.